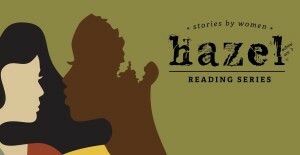 Hazel Reading Series is a vibrant literary community founded in 2013. Each month, the all-women lineup of writers is carefully selected by the readers of the previous month. Through this curation-by-evolution process, they have created a sense of lineage and have come into contact with some of the best writers in the Bay Area—some at the beginning of their careers, some who have already published several books—and hosted evenings that are as unpredictable as they are unforgettable. Hosted by Sara Marinelli, Hazel Reading Series comes to the Red Poppy for an incredible evening of stories by women.